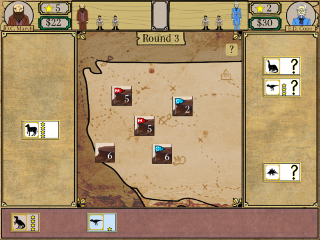 A free two-player hotseat strategy game based on the feud between historic 19th-century paleontologists O.C. Marsh and E.D. Cope. Who will earn the most fame in eight rounds? 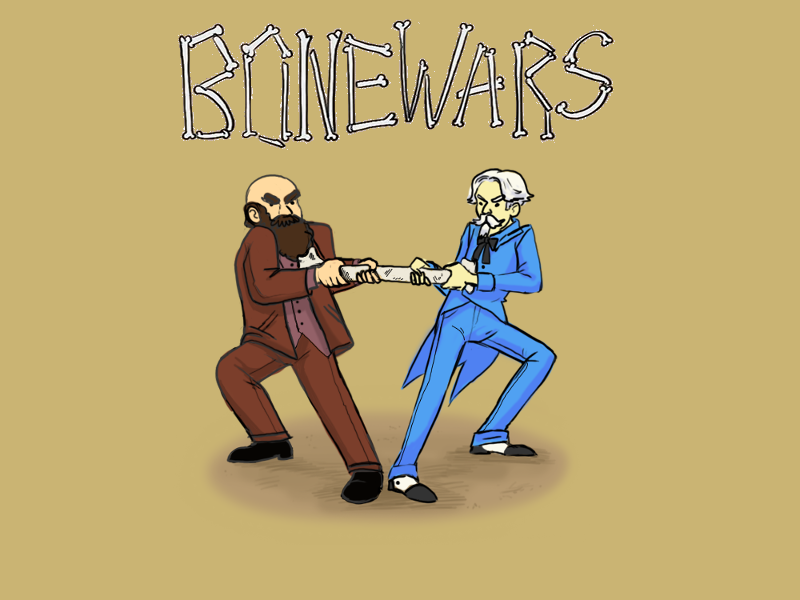 An academic perspective on this project is presented in The Bone Wars: Design and Development, Social Media and Community, which is published in the Proceedings of the 2014 Conference on Meaningful Play.